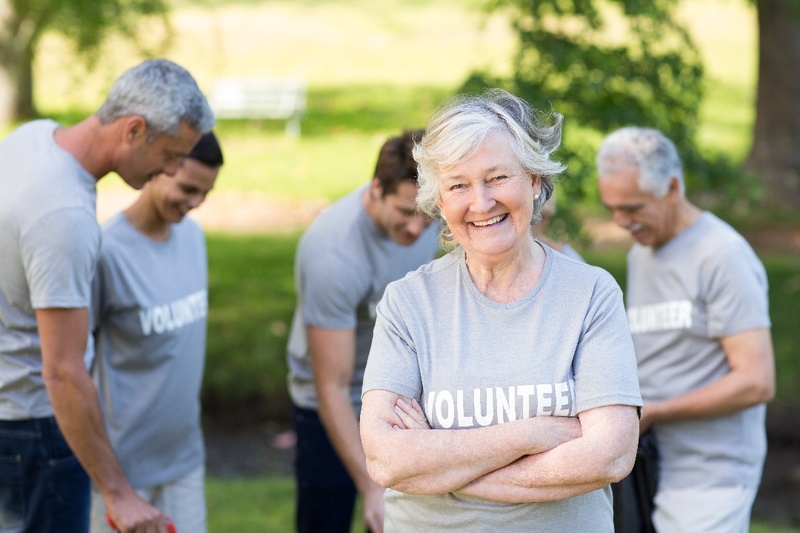 You’re anticipating that you will have more free time in retirement, and you would like to help your community or causes you’re passionate about by volunteering and getting hands on. Nonprofits vary in their need for actual volunteer hours, but they all are dependent on financial donations. There may be some organizations that you support where there isn’t any actual volunteering that you can do because they require a specialized skills like Doctors without Borders. There are also some organizations that are heavily dependent on volunteer hours. Bridging and Second Harvest are two local Minnesota nonprofits that come to mind. A great place to check for opportunities is in your local paper. In Minneapolis/St. Paul, the Sunday Star Tribune runs a column of local organizations that are need volunteers. There are also websites like VolunteerMatch.org that help match volunteers and organizations based on interests and skills. When planning your retirement you should consider what your income will look like and create a retirement paycheck. This will help give you an idea of what you can put towards charitable contributions in retirement. You may realize that you can not give as much as you have in the past. One way to alleviate this feeling is to “send money ahead” by setting up a donor advised fund (DAF) while you are working. This enables you to put more money aside while you are working, and possibly in a higher tax bracket, into a DAF. You can set up a DAF with a community foundation (like the Minneapolis Foundation, Minnesota Women’s Foundation, Minnesota Community Foundation), a foundation with a specific focus (Lutheran, Catholic, Episcopal Relief and Development etc.) or with an investment custodian (Schwab, Fidelity, Vanguard, etc.). You can set up these with appreciated assets and/or cash and you then deduct the market value of the gift at the time of the gift. You then can use the DAF to do your charitable giving in the years to come. Differences vary in the administrative fees and minimum grant size between the organizations, but all make it very easy to do your charitable giving. Beneficiary Designation. Remember that assets with a beneficiary are transferred to the beneficiary outside of what your will says. Assets that have beneficiary designations are life insurance, retirement plans, and Transfer on Death (TOD) or Payable on Death (POD) designations. One of the most tax efficient ways is to name charities as the beneficiaries of a retirement plan, which means that charities get the funds and no one pays any income tax on the distributions. Your Will or Trust. Another way to designate funds to charities is through your will or trust document. A Donor Advised Fund (DAF). If you have set up a DAF during your lifetime, you probably made a decision as to what happens to it at your death. Options include naming successor advisors (often your adult children or other family members) that will continue to use the DAF after you have died. You may also designate specific charities to receive what is in your DAF at death. Another option includes having the funds go into the main charitable fund that is sponsoring your DAF. The main strategy here is to group your contributions. For example, if you make two years of contributions in one year you may be able to itemize your deductions and receive the tax deduction of your contribution. Another option is that once you are 70 1/2, the age in which the IRS requires you to take a certain amount of money from your tax deferred accounts called a required minimum distribution (RMD), you can give up to $100,000 a year from your Individual Retirement Account (IRA) directly to charitable organizations which reduces your taxable income. For instance, if your RMD from your IRA was $50,000 and you gave $10,000 of that to charity, you would only be taxed on $40,000. If charitable giving has been important to you during your life, we encourage you to consider having it part of your estate plan. You may have received information from some of the charities you support asking you to make a “planned gift” by naming them in your will or beneficiary designation. Many organizations actively work with donors during their lifetimes to keep them informed of what is going on with the organization and why your planned gift matters so much to the organization. 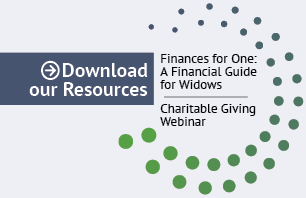 We encourage clients to consider whether they want their charitable giving to continue after death, as well as answer the question as to how much is enough, too little, or too much to leave to family members.